Winning a 5th consecutive NPC rugby championship title is a phenomenal accomplishment!!! No other team has achieved this since the NPC competition began more than 100 years ago. 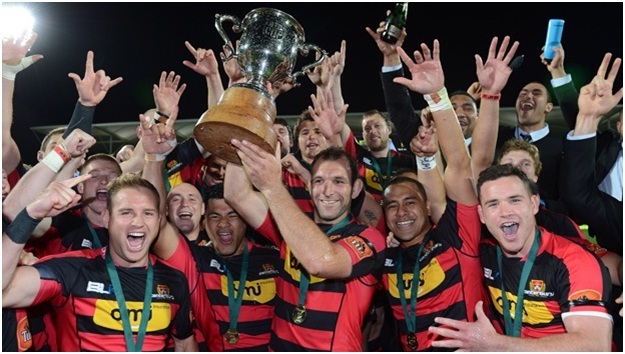 A truly significant highlight from last weekend’s ITM Cup premiership final - domestic rugby's top title. 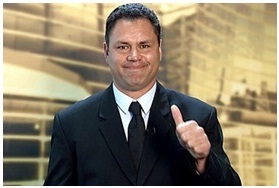 A triumph without precedent in the history of New Zealand Provincial Rugby. For the fifth year in a row, Canterbury Rugby have won the title, beating Auckland 31-18 in the Christchurch final last Saturday night. What is the X FACTOR ingredient that consistently enables these high performance results? As an organisation Canterbury Rugby embrace Mental Toughness amongst other systems essential to the delivery of truly outstanding performance. In 2008 - 2009 Canterbury Rugby engaged with us here at Foresight in order to implement our science-based Mental Toughness and Resilience system with the intention of embedding the key principles throughout their organisation. This system has now become part of their DNA, leading to 5 consecutive wins in a row. Whereas previously they had never won the title in consecutive years. Canterbury Rugby’s success is no accident. "It is difficult when you have one training a week but then your off-field innovations become the key," he said. "There are different ways for players to absorb information besides just running around, so you must be solution-focused. "There are lots of little conversations with players, with units and with each other." 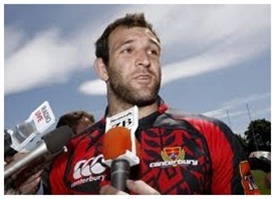 George Whitelock, the current Canterbury Captain vowed he would be back to help Canterbury secure a sixth consecutive national provincial rugby title next year. No team has ever managed five titles in a row. “Just reflecting now it’s pretty amazing, 5 years in a row being number 1. The lineout was outstanding. “We knew they were going to bring something,” coach Tabai Mattson said. “For me it’s an absolute highlight. No-one can take this away from this group of players. They are part of history. Optimistic basketball teams did better than predicted, pessimistic teams did worse. The same results have now been seen on the New Zealand Rugby field. Does this performance translate across other spectrums? From more than 1000 studies at more than 100 universities over a 40 year the evidence is conclusive. How can you use this to improve the outcomes in your organisation? Organisations that recognise the value of improving the mindset of their people and commit strategically over a period of time; for example they understand the value of embedding mental toughness and resilience in the DNA of their organisation, outperform their competitors. Canterbury Rugby being one prime example. How well do your employees respond to change initiatives? You’ve probably read plenty of articles discussing this vital matter of “change”. Those beliefs being the mindset of employees, organisations that accept this perspective and work with this new reality will be better equipped to deal with the consequences of change. It would be a rare thing for an article to draw the link between your team’s response to change and EBIT, or increased bottom Line. Those enterprises that do comprehend this connection (and we’re working with a few), are the kinds of organisations that understand that growth limitations boil down to their people’s ability to respond in a positive manner to naturally occurring shifts in the marketplace and react accordingly. Leaders and managers often plan changes to the course ahead. Those changes are frequently perceived as pressure by employees leading to an in-house reaction of stress, which in turn throws up resistance. Lack of engagement is the silent killer of the successful implementation of any business strategy with any kind of “change” as a core strategy. Leaders who grasp the importance of implementing initiatives focused on preparing their people for the emotional impact of changes are putting the planks in place that will reduce the risk of disengagement in a major way. The first thing your employees do when they become disengaged from your values and vision is go to ground and protect their position (a survival instinct). A consequence of a disengaged workforce can be frustration and despondency from managers and leaders, in response to this entirely understandable self protection behaviour by employees. Leaders and managers begin to express their feelings; employees switch to below the line behaviour in an attempt to counter the discontent expressed by their leaders - only worsening the problem. Now the problem of implementing the “change programme” escalates, showing up in lateness, absenteeism, sick days, arguments, insincere behaviour, excuses for poor performance. All being symptoms of the lack of commitment that is present and undermining management’s ability to progress the intended purpose of the “changes”. Tom Peters, a thought leader from the U.S, renowned for his ground-breaking work in the 70’s points out the pathway to a high performing organisation is based on investing in the people that make the enterprise function. He also points out that it is so important you simply cannot implement anything successfully without the full support of your people. Part of the framework required is a clear direction, core values, vision, and strong identification with your brand. However none of this matters unless there is a strong level of commitment from all of the key players across the enterprise. Preparing your people emotionally by developing their resilience and mental toughness is a distinct way to build an organisation that embraces change (a culture where employees respond in a positive manner to the change initiatives and welcome changes to their own thinking). Across all spectrums for implementing change management initiatives, we have not come across another method more effective at enabling change management where improved EBIT and bottom-line increases are intended. One thing we know is that the rate of change is not slowing down anytime soon. Foresight specialises in preparing employees for change, and our science-based expertise produces long-lasting outcomes for employees and their employing enterprise. Please contact us for a conversation about the next steps to increase your organisations mental toughness.